Since last December, Howard Schultz (Starbucks CEO) has been involved in partner open forums (Starbucks employee meetings) with discussion about race and racism. 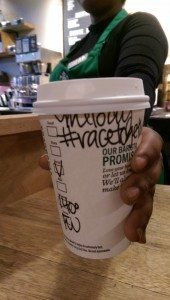 Since that time, Howard has traveled to Chicago, New York, Oakland, Los Angeles and St. Louis, and held more open forums with more than 2000 partners (Starbucks calls their employees “partners”), opening up real discussions with partners about their experiences with race and racism. Three months later, after that December Starbucks internal meeting, Howard Schultz has been continuing that conversation across the country. 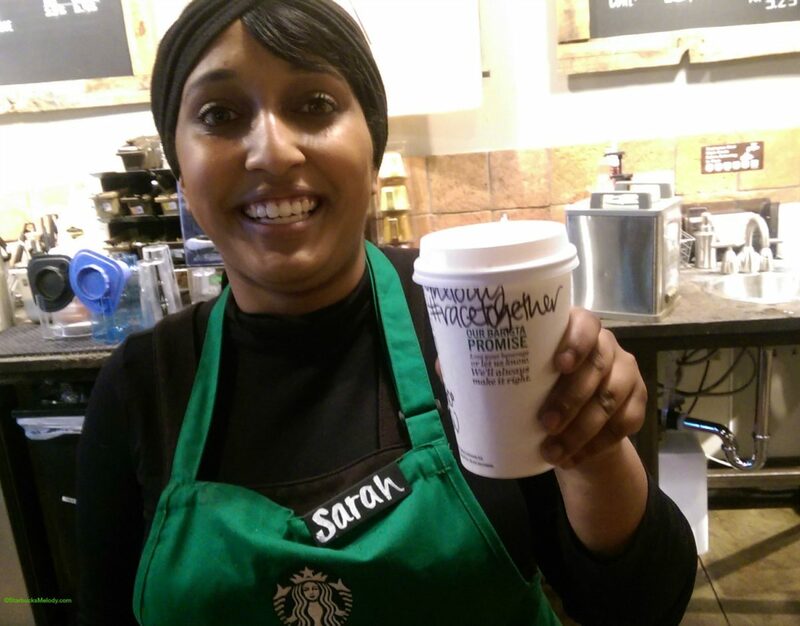 I noticed that if you scroll to the very bottom of the official Starbucks Newsroom story on this topic, you see a link where Starbucks partners can share their own #RaceTogether stories with Starbucks newsroom staff. I want to call your attention to this and if you are a partner reading this, encourage you to share this with others, and share your stories with the newsroom. One Youth at a Time: Thousands of jobs for young people between age 16 and 24. Oh give me a break. As someone who isn’t white, I am sick and tired of the race hustlers starting from the top and them injecting race into everything to somehow transcend race. It is absolute stupidity. I come to Starbucks for food and coffee. This country has just turned into what I would consider an almost undesirable place ro be a FREE INDIVIDUAL. As in not part of a group, just yourself. I wish we could rewind back to the days when trascending racism meant you treat everybody as a person and diminish race as a public topic. That certainly would make me feel better than this nonsense. Like I said it all starts from the top. You have somebody up there constantly preaching division and ‘identity’ then you get this. And speaking for many minorities, we hate it. no. just, no. melody, i take it you’re going to the meeting today? i’d be very interested in hearing about what will be said. thx. I’m with Chris. How about we stop talking about not acting like jerks and just not be jerks? Also, I’m paid to make coffee not educate the masses on moral issues. It’s sad to me how the topic of race is controversial and political. Just because you haven’t experienced racism doesn’t mean other people haven’t. It’s about listening and emphasizing. We all come from different journeys but are all from the same human race. I think it’s fitting for Starbucks because as Howard has always said “We are in the people business, serving coffee”. I think this idea from Howard is kind of a dud… Social issues can quickly turn into political issues, and discussing politics between baristas and customers is horrible, unprofessional, awkward, etc. I’ve heard those kinds of conversations before, and they are torture!!!!!!!!!!! P.S. I love Starbucks! I hardly ever post anything saying that I disagree with how the company handles things… but this forced conversation with customers makes my gut feel a little sick. I feel for the baristas. You’re not forced to do anything. Simply put, don’t do it and do the great job serving customers you have been doing. Quite frankly if someone ends up writing me a Race Together on my coffee cup after they see me, I am first going to feel uncomfortable because my race is being noticed and pointed out, and secondly Im going to say something back and it’s not going to be nice. All this PC stuff feels good when it’s coming out of the ‘noble’ minds of white CEOs, but is a slap in the face to all of us trying to just do normal things in our day like buying coffee. Im a working professional. I dont need some kind of silly stupid conversation starter to talk about some social topic pointing out my race when Im buying coffee and food on my lunch break. It just pisses me off to no end. Keep your fairy tale idealism in your own personal social circles and treat customers as CUSTOMERS AND PEOPLE.